Lush Fab Glam Inspired Lifestyle For The Modern Woman: Christian Louboutin Spring 2013 Shoe Collection. Christian Louboutin Spring 2013 Shoe Collection. ﻿Christian Louboutin Spring 2013 Shoe Collection. 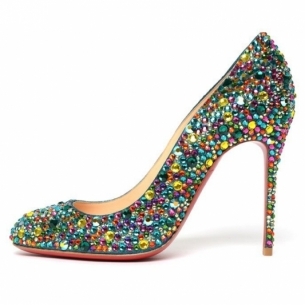 Which Chrisitian Louboutin shoe designs would you love to own? Leave a comment below. you're a great author.I will be sure to bookmark your blog and definitely will come back from now on. I want to encourage you to ultimately continue your great job, have a nice weekend! I'm pretty pleased to find this great site. I wanted to thank you for ones time due to this wonderful read!! I definitely savored every bit of it and I have you book marked to look at new things in your site. specially the last part :) I care for such info a lot. back as I'm planning to create my own website and would love to learn where you got this from or just what the theme is named. Cheers! similar to this take a lot of work? I've no knowledge of programming however I had been hoping to start my own blog soon. Anyways, should you have any ideas or tips for new blog owners please share. I know this is off topic but I just needed to ask. Appreciate it! After going over a number of the articles on your web page, I truly like your way of blogging. It's not my first time to pay a quick visit this web site, i am visiting this website dailly and get fastidious information from here everyday. to say thanks for a fantastic post and a all round entertaining blog (I also love the theme/design), I don't have time to look over it all at the moment but I have bookmarked it and also added in your RSS feeds, so when I have time I will be back to read a great deal more, Please do keep up the awesome job. Great web site you have here.. It's difficult to find high quality writing like yours nowadays. I honestly appreciate people like you! Take care! !